Another bright and sunny start and the river level is still low. It's been raining quite heavy overnight and is still raining now on and off. The river level is still low and the rain hasn't moved it at all. There is more on the way but it is going to have to be a lot ! 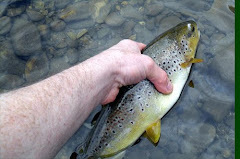 Another sunny warm day and the river is low but still producing catches it seems. Apologies for the late post! Yes, the river's still showing its bones. It's dry and warm. But the river's still producing. Do you know anywhere else that fishes like that? The weather is dry , overcast and breezy. The river is running low. Cloudy start this morning with the sun poking out every now and then and you know the river conditions. It's overcast and warm this morning so it will be worth a shot if you have the time. 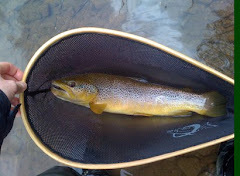 There is another sunny day in store and as you have guessed the river is still running low but fishing very well. Looks like its going to be scorcher today because its quite warm already. It's going to be another warm and bright one and still no rain to bring up the river level. The weather is dry and warm and the river is still low. There is a quite strong northerly breeze which has pushed down the temp quite a bit. 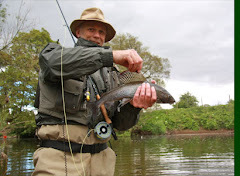 The Eden is still running at a low level and still fishing well if your in the special forces. The eden is still running low and the weather is dry, overcast and windy. Not a lot to right really , just the same as yesterday. The river conditions are still low and it looks like its going to be another warm day. Looks like its going to be a warm , sunny day and the Eden is still running at a low level . There has plenty of rain recently and this has put a small amount of fresh water in the Eden. The weather is warm and overcast, good conditions I think. Its raining quite heavy at the min and the eden is running at a ok height. It's a warm sunny morning with occasional cloud. River still not affected by the weeks rain. Sorry, forgot to do it this morning. The conditions were good by the way. There has been a fair bit of rain in the last few days which has brought up the river level by a couple of inches at KS. The weather is as the heading states, windy and wet at times. It is still raining and there is still no change to the river level. It's raining again but as yet there is no change in the river level. 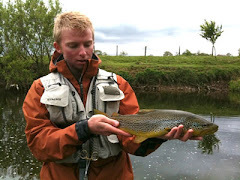 Check out the catch rtns/river reports for up to date news on the river. The river is still running low but despite that it is still fishing well if your a bit stealthy on the riverbank. The weather is dry and overcast at the moment. The river conditions are unchanged and the weather is dry and misty with some rain on the way. River still bit low and weather hot and dry. Looks like another warm day is on the way and the eden is running at a lower level. This morning sees a sunny start with very little cloud. The river has risen a couple of inches after Tuesdays rain. All yesterdays heavy rain has raised the river level slightly at KS and I would expect that further downstream there will be a bit more water in the Eden. The weather is cool and clear. The river level is still lower than the norm but it is still fishing well and its raining now so it may bring the river level up a bit.